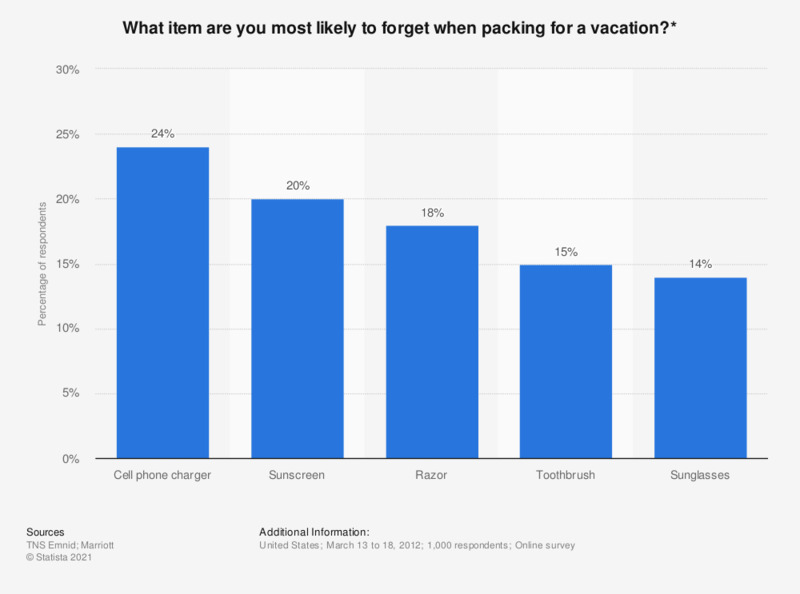 This survey depicts the most common items forgotten on vacation by U.S. consumers. Some 24 percent of respondents stated they are most likely to have forgotten to bring a charger for their cell phone. * The source does not provide detailed information regarding the question. The chosen wording here might therefore differ slightly from the survey. When you first begin looking for information for your personal or leisure trips, typically how certain are you about the specific company/brand you want to book with before you begin researching?